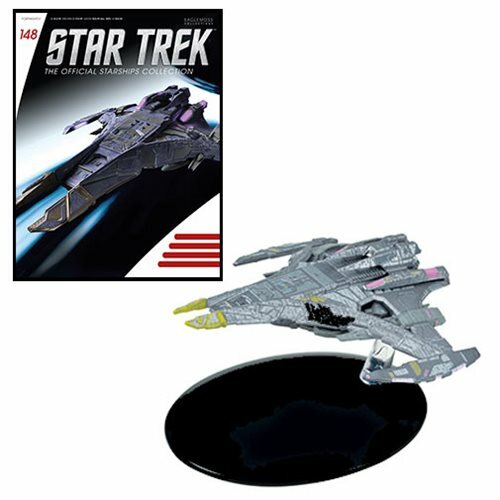 Yes, Star Trek aficionado, that is a Jem Hadar battleship. The excellently detailed Star Trek Starships Jem Hadar Battleship Vehicle with Collector Magazine #148 includes a display stand and an informative magazine. It comes in matching themed packaging.